As a mother of three daughters (who recently announced that she is pregnant with her fourth), taking care of her family became Nicola Cheung Young’s top priority the moment she got married. Yet even in the midst of an intense period of parenthood, she still managed to complete a degree in Environmental Management at the University of Hong Kong a couple of years ago, which she hopes will help her instill the importance of environmental protection in her family and also to raise awareness in the next generation through education. While Nicola’s previous life in the entertainment world couldn’t seem any further away, she can still recall it vividly through the scent of tobacco. As for today, this new chapter Nicola’s life centres around a very contrasting scent. "Whenever I smell cigarettes, my mind flashes back to my previous life in the entertainment industry like a trotting horse lamp – making movies until late at night, everyone tearing their hair out trying to make things work, all the happy and unhappy memories from those days come back like a flood,” Nicola Cheung Young explains. Indeed, psychological studies have proven that scents are closely linked with memories and emotions. One could even say that they are linked with human instincts. Nicola says that whenever she smells cigarettes, her mind flashes back to her previous life in the entertainment industry like a trotting horse lamp. “The scent of cigarettes remind me of making movies until late at night, everyone tearing their hair out trying to make things work, all the happy and unhappy memories from those days come back like a flood.” Nicola’s antipathy towards the scent of cigarettes is actually her subconscious telling her not to go back to the past. She continues, “Things that are important in life are often not easy to obtain, like those scents: they are windfalls, something you can’t pursue. It’s not like turning on a TV at a certain time to see what is scheduled, expected. The randomness of it is what moves me the most.” And this is the allure of scent – although invisible and intangible, they tie the red thread of fate between you and me, and unexpected occurrences. “I found it!” Nicola’s heart screamed when she smelled this perfume. 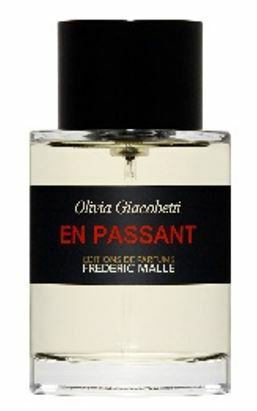 Like white lilacs after a rain shower in early spring, Olivia Giacobetti’s perfume is inspired by a recollection of a trip to Italy, where the perfumer paced through a flower shop and into a bakery. The bouquet of lilacs, cucumbers and wheat reconstruct the aroma of that walk. The initial sweetness of lilacs reminds us of the tenderness of their delicate petals, while the fragrance becomes warmer and sweeter through time. Soft wheat, cedar and musk constitute the base notes of the perfume, giving you a sense of clearness and freshness.